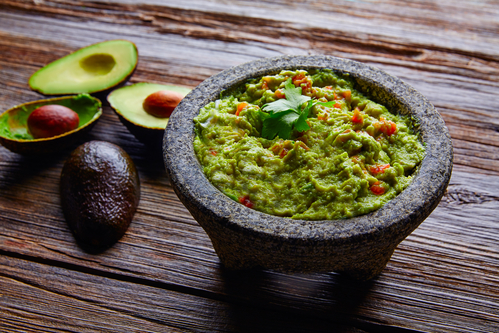 Looking for a great easy guacamole dip recipe? No limes on hand, no problem, try using DYC vinegar instead. It wont taste the same as lime juice, but will give it zing. For the perfect texture try using a potato masher. Add ingredients to a bowl and mash with potato masher until desired texture is achieved.